I hope the plant enthusiasts among you won’t be too disappointed – in this article I’m talking animals, and more precisely bats! 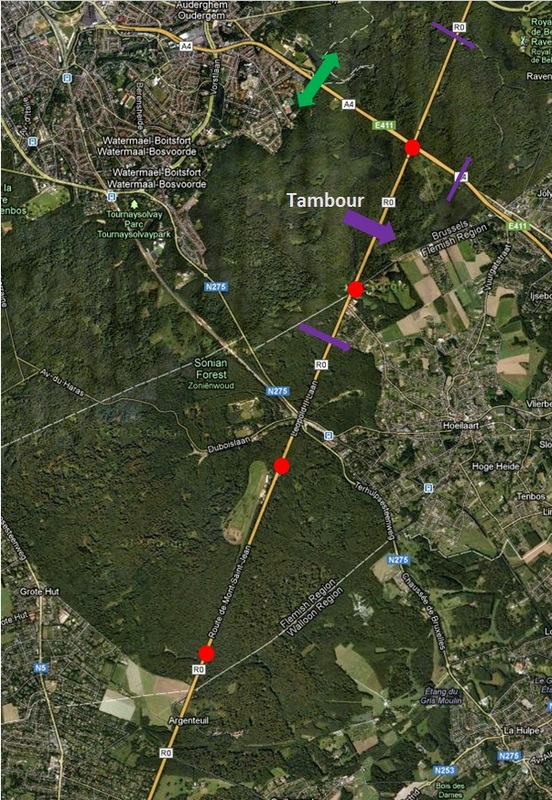 Some of you might remember an article I posted in June last year, about a specific bat survey taking place in Brussels to reveal the impact of large motorways on bat behviour. If you haven’t read it, don’t panic, it’s here : How do bats cross a motorway? I’m no longer living in Belgium, but I’m still following what’s happening there and the results have been published by Natagora and Natuurpunt, the French and Flemish organizing associations. – purple arrows indicate tunnels where bat activity was detected, and the prefered direction of flight. – the green arrow indicates the Viaduc Herman Debroux, a high tunnel which is in fact more a bridge. In total, 187 bat passages were recorded. The green tunnel (Viaduc Herman Debroux), where I was staying that night, displayed high bats counts, despite its closeness to the city and high noise and light pollution. The tunnel is in fact a bridge, with a very high ceiling. Many bats seemed to make circular movements under the bridge (hunting as we could hear feeding buzzes), which made the count very difficult. As a result, the directions and number of bats measured is certainly overestimated. Interestingly, four of the tunnels, although located in densely wooded areas, did not show any activity. The 10 sampled tunnels were all different, some having a bare soil and no light, others a concrete floor with bright lights. Some have been designed for horse riders, others for cyclists. 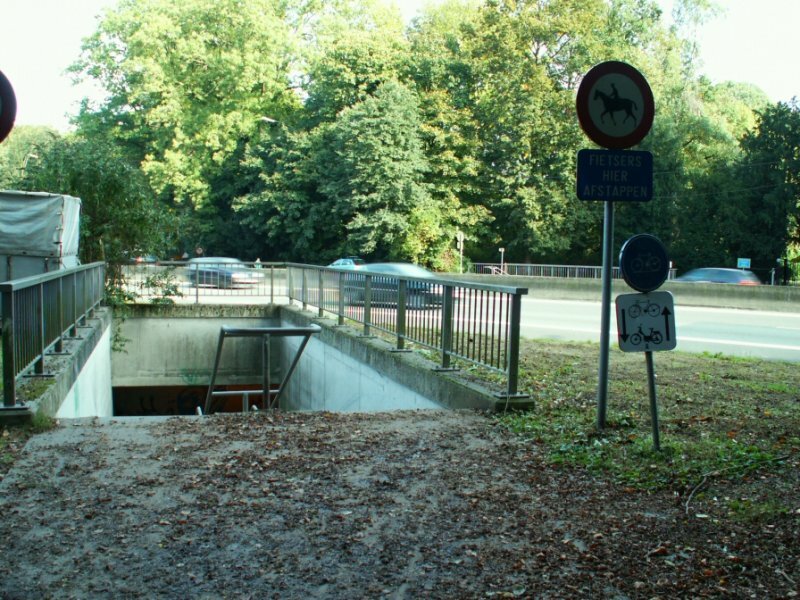 Here’s a picture of one of the tunnel which had no bat activity (picture taken by a cycling enthusiast, Bernard Frippiat). As you can see, the tunnel is all concrete, with steep stairs descending under the motorway, and a curve – maybe not the ideal transition between wooded areas! Without surprise, the most commonly detected species is the Common Pipistrelle (Pipistrellus pipistrellus), which is well adapted to urban environments. 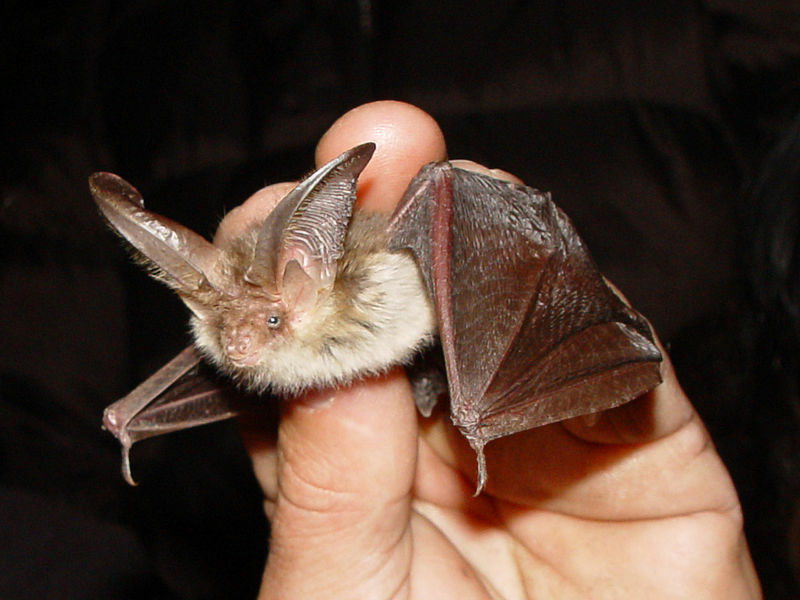 Other species include the woodland and water loving Daubenton’s bat (Myotis daubentonii) and Natterer’s bat (Myotis nattereri), but also Brown long-eared bats (Plecotus auritus), striking animals with large and folded ears. Following this survey, the ecologists decided to organize a capture session in August in the “Tunnel du Tambour”, which had seen the highest number and the highest diversity of bats during the acoustic survey. 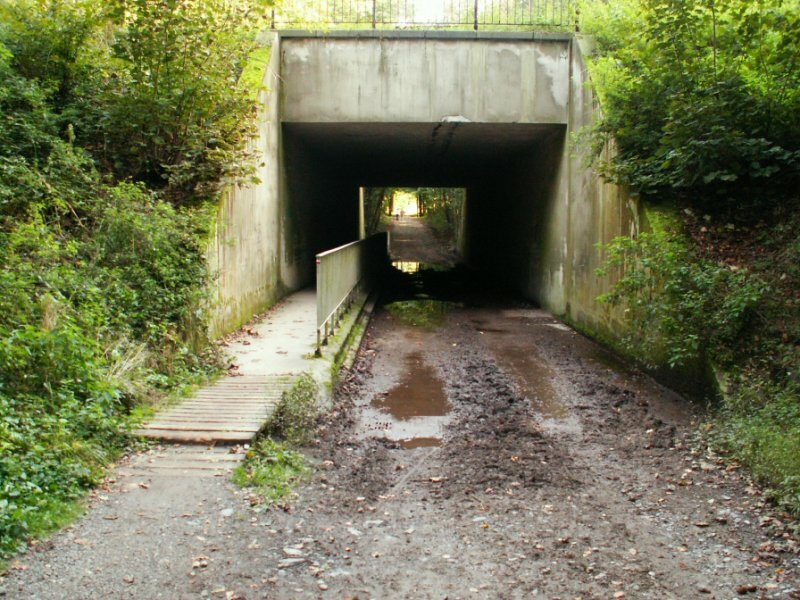 This tunnel, with its bare soil, absence of lights, wide and straight entrance, definitely looks more wildlife-friendly! Large nets were placed at the West entrance of the tunnel, bat numbers and species could then easily be recorded. 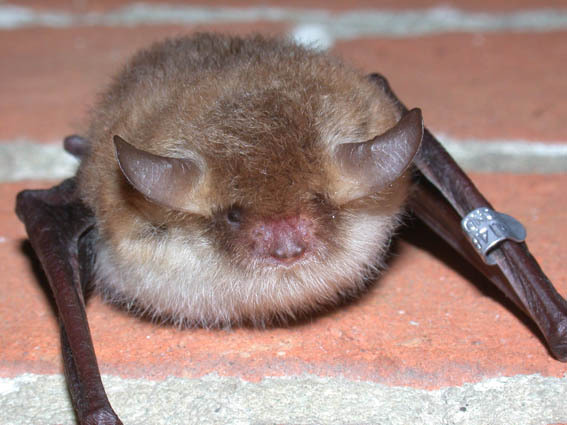 In two hours, 14 bats were captured : 12 Brown long-eared bats (7 post-lactating females – baby bats are born in June or July and milk-fed for about 6 weeks ; and 5 males, including young ones) and also 2 females of Natterer’s bat. This species, which can be distinguished because of its long and white fur on the underside, is typical of deciduous woodlands like the Sonian Forest. These results show that some colonies of Brown long-eared and Natterer’s bats could be living on the Northern part of the motorway, and cross the motorway through these tunnels to go hunting at night. Further surveys are definitely needed to precise which tunnels are important for bats, which factors influence the use of the tunnels by bats, and which adjustements could be made to make them more bat-friendly…but I think this preliminary study shows us just how nature is capable of adapting itself to the changes and constraints set by men! Previous Post A garden in winter : worthy or worthless ?